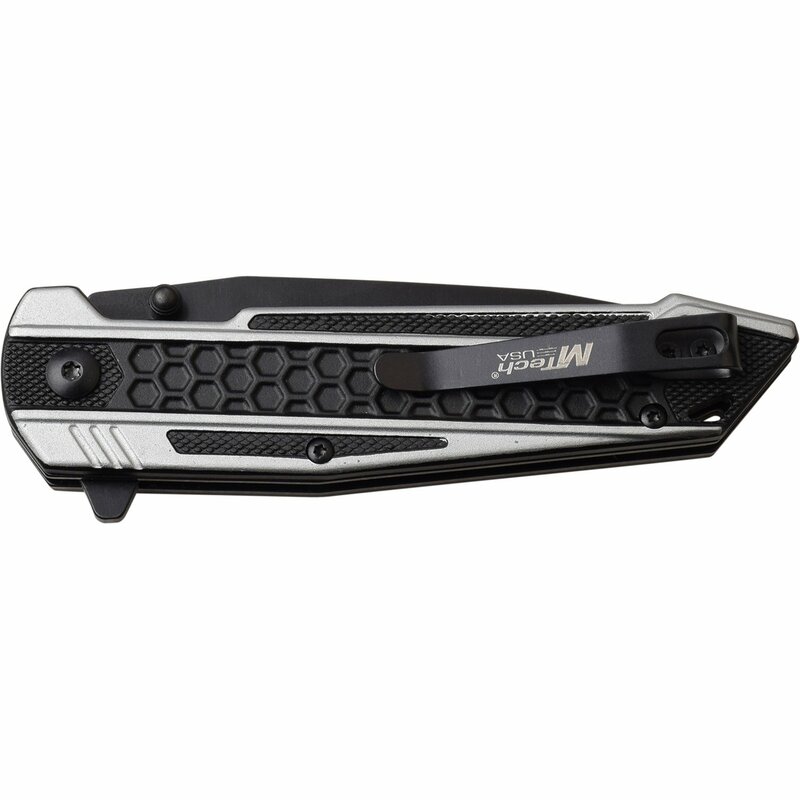 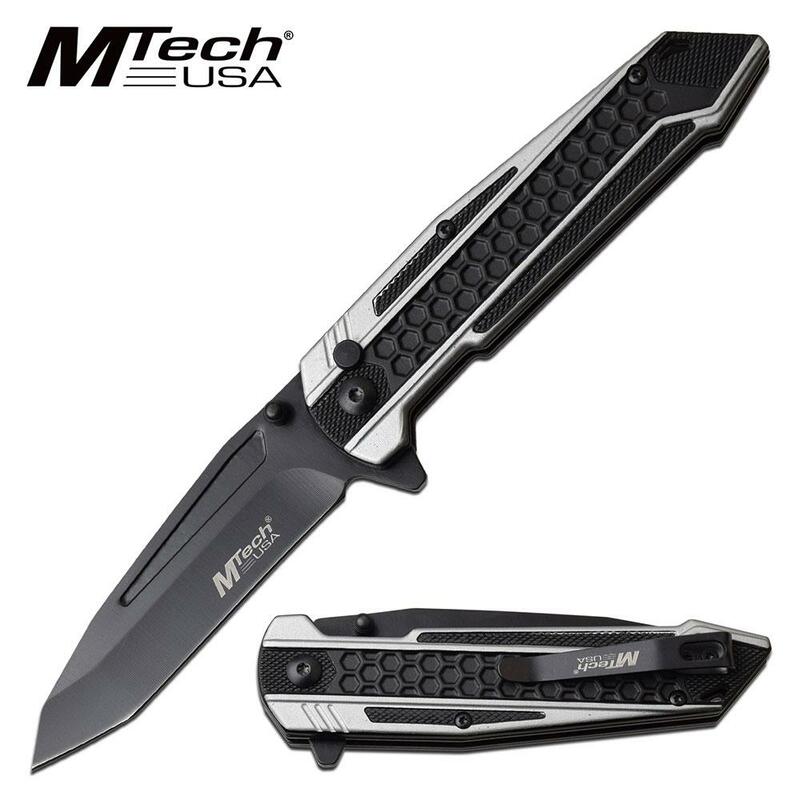 Manual pocket knife for sale by Mtech USA. The knife is 8.25 inches long open length. 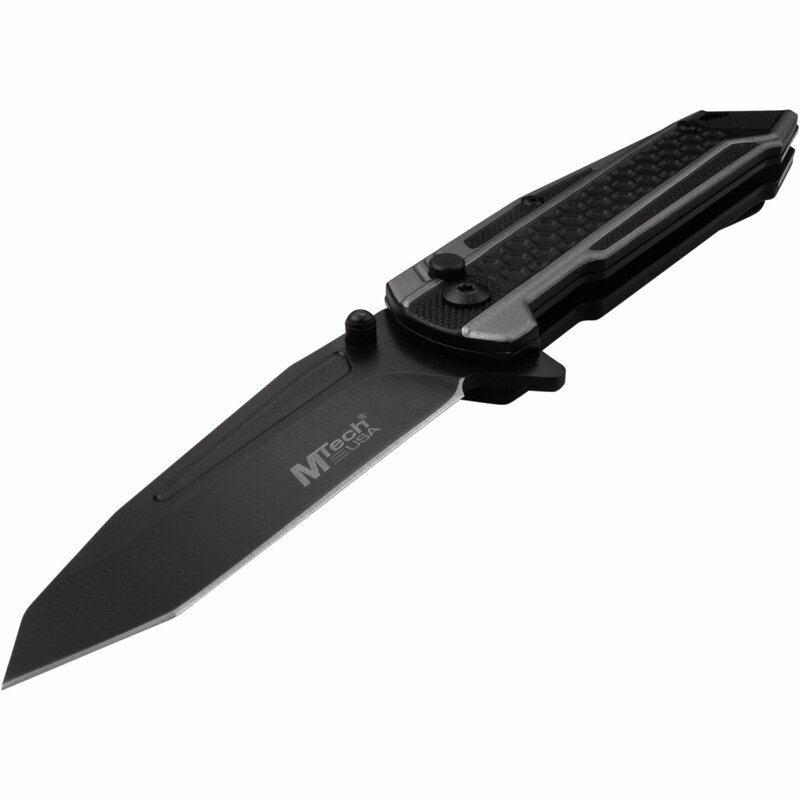 Knife comes with a pocket clip attached. MTech USA manual folding pocket knife with hexagon designed two tone anodized aluminum handle is a cool knife. 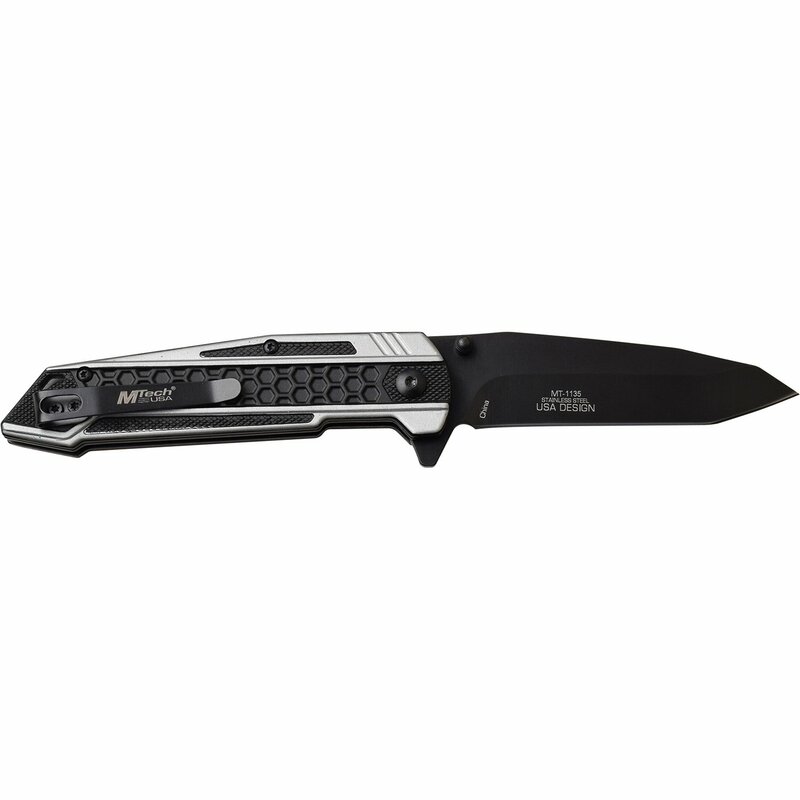 The overall open length of this knife is 8.25 inches long and the blade length is 3.5 inches. 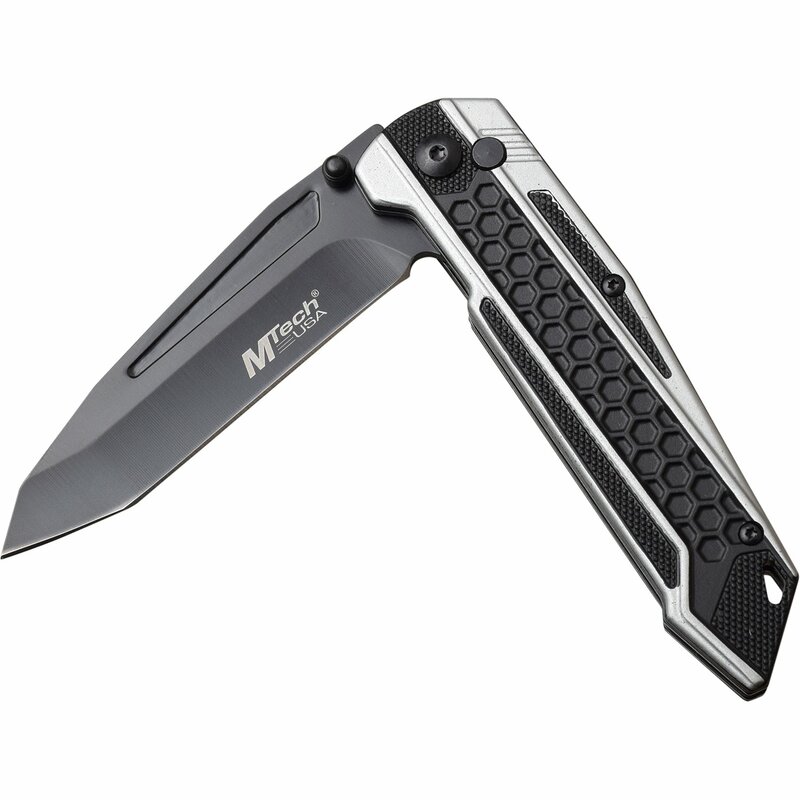 Knife comes with a pocket clip attached.